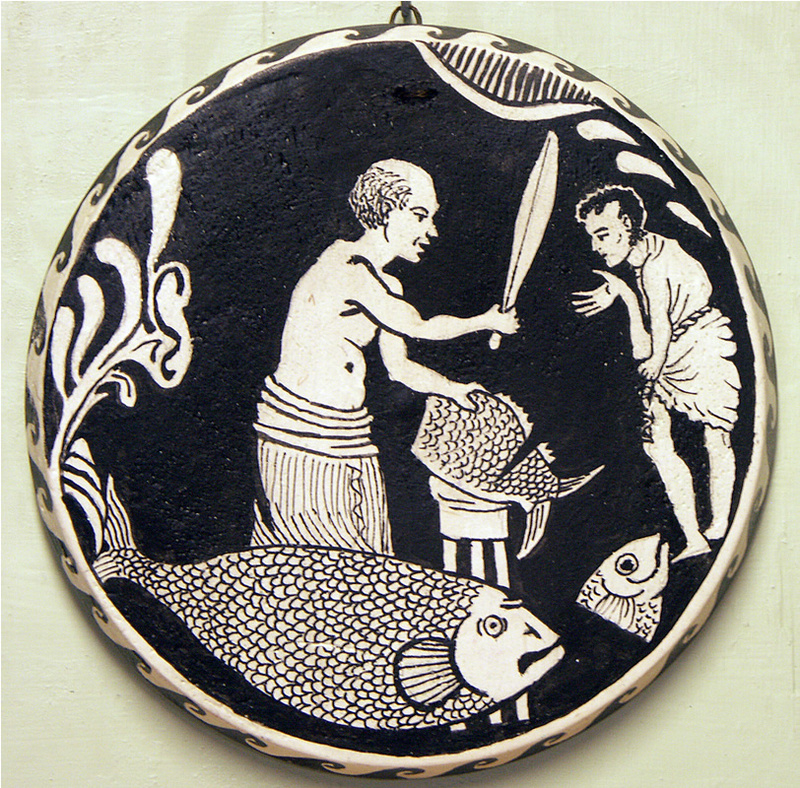 The fish merchant shows a cheerful attitude and is typically South Italian, a little Post-classical, signed Printias, ca. 520 B.C. Copy by Diana Webber, 2015. Published August 10, 2016 at 812 × 800 in Ancient Greece. Trackbacks are closed, but you can post a comment.